Your urban garden gets just a little bit sweeter when you grow a small home orchard or a few berry bushes. Depending on the amount of space you have available, you can grow some — or a lot of — fruit at your place. 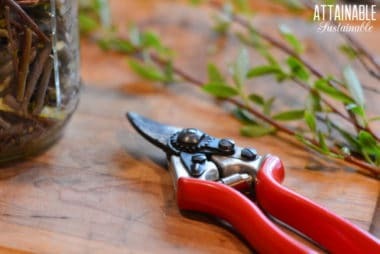 Growing fruit trees and shrubs means an annual harvest with little extra work on your part. Crops like strawberries and blueberries can be grown in containers, making them a good option for a fruit harvest in urban areas. Fruit trees, too, can be grown in containers if you choose the right variety. 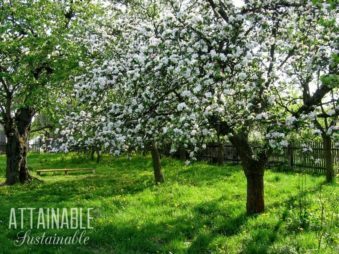 If you have a larger property, you may want to consider a small orchard to provide your household with fresh fruit during the harvest season. 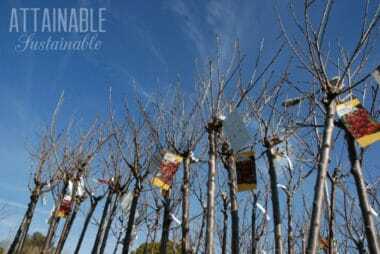 Winter gardening: Time to choose your bare root fruit trees for your home orchard! You’ll have a better selection now, too, before trees leaf out. Planting nectarine seeds nets a free orchard! 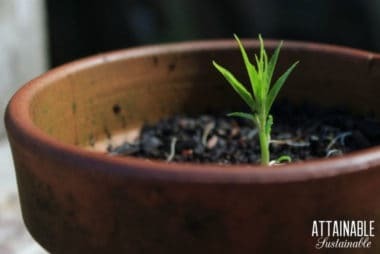 Here’s how to grow a nectarine tree from seed – stone fruit like nectarines often grow true from seed. Growing bananas for a tropical harvest is easy, easy in warm climates. 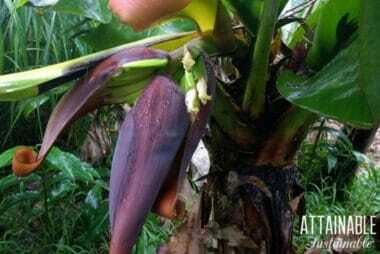 Check out how to grow bananas, harvest bananas, and what banana trees need to thrive. 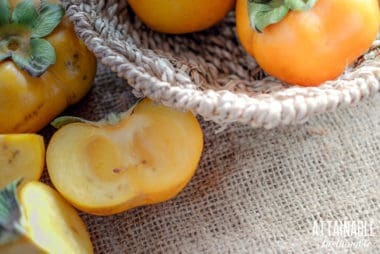 Growing persimmons for a late fall harvest on your homestead? Choosing a persimmon tree will depend on a few factors and how you plan to use the persimmons you grow. Here’s how to decide between an American persimmon tree or a Fuyu persimmon tree. 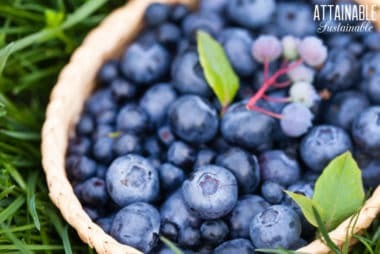 Growing blueberries in containers is a great way to produce fruit right in your own backyard. Even apartment dwellers can harvest fruit from the balcony! Urban fruit! 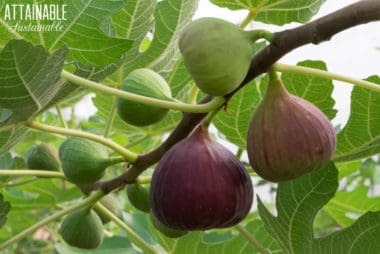 An edible landscape is great for city gardeners and fruiting trees are a perfect addition to an edible landscape. They’re beautiful, functional as they provide shade, and they can produce fruit within 3-5 years. Planting a fruit tree now will provide an abundant harvest for years to come. Talk about a time saver in the garden! 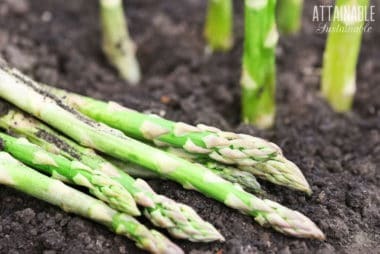 Perennial vegetables and fruits are productive plants that come back every year – plant once, harvest for YEARS!